The first time I went to Paris I told Mike that I had to have a croque monsieur or croque madame. Croques are classic French bistro fare and since I figured we’d be spending a lot of time café hopping, I had it all planned out in my mind: we would sit at one of those cute little sidewalk cafes, with the round tables and colorful rattan chairs, the chatter of French conversation all around us. Of course, when we got into Paris, it was pouring. The rain meant that Mike and I couldn’t sit outside, but I didn’t let that stop me from ordering a very authentic croque madame. It was a super cozy experience – the rain falling down incessantly on the eves, the warmth inside the cafe, Mike and I snuggled up against each other sharing a crispy, cheesy knife and fork sandwich. Croques have fancy French names, but basically they’re grilled ham and cheese sandwiches topped with béchamel – a creamy white sauce. They’re crisp and gooey, decadent and rich, and absolutely addictive. I like making croque monsieurs with a bit of mustard – it really helps cut through the richness and adds an extra dimension of flavor. Funnily enough, I never used to like mustard. But now that I’m a grown up, mustard is one of my all time favorite things. I love trying out different varieties because they all lend such different flavors to whatever they’re complimenting. 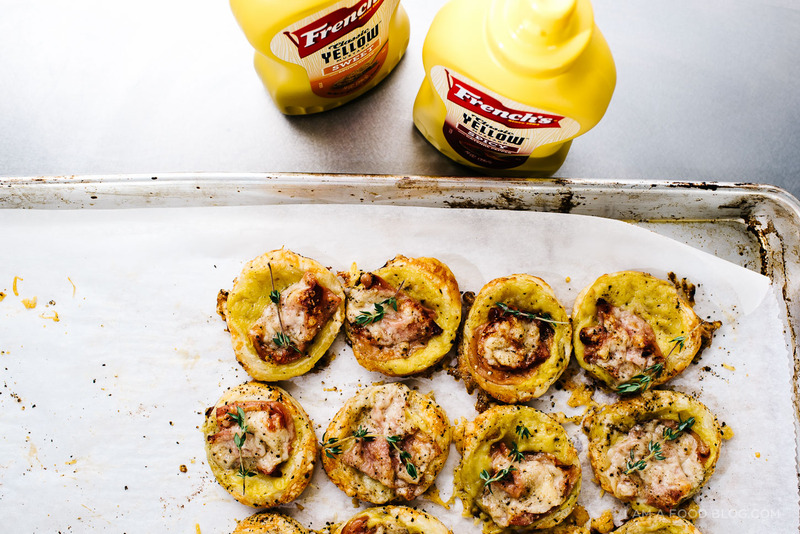 French’s just came out with two new mustards, Sweet Yellow Mustard and Spicy Yellow Mustard, and they fit in perfectly for a fun French picnic idea that I had. I really wanted croque monsieurs for our picnic, but since they don’t really travel well, I decided to use puff pastry to make some tiny tarts. I just love how well these little guys turned out – they’re super portable and easy to make ahead of time. Plus they taste great either warm out of the oven or at room temperature, which is perfect for a picnic. The real secret to these tarts is the mustard béchamel. Usually, when I’m making croque monsieurs, I just go ahead and spread some mustard on to my bread, but for these little guys, I came up with the brilliant idea of putting French’s Spicy Yellow Mustard into the béchamel. 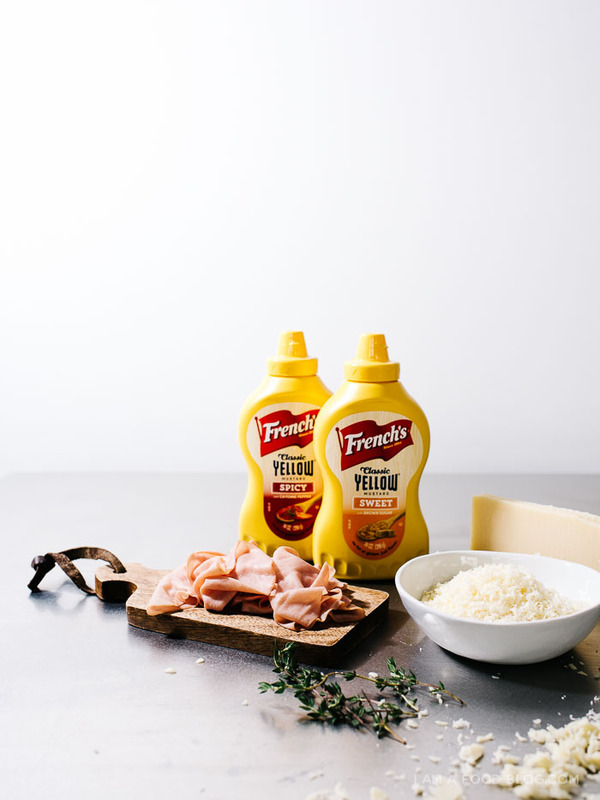 I contemplated going with French’s Sweet Yellow Mustard, which would have paired wonderfully with the ham, but I was in a spicy mood. 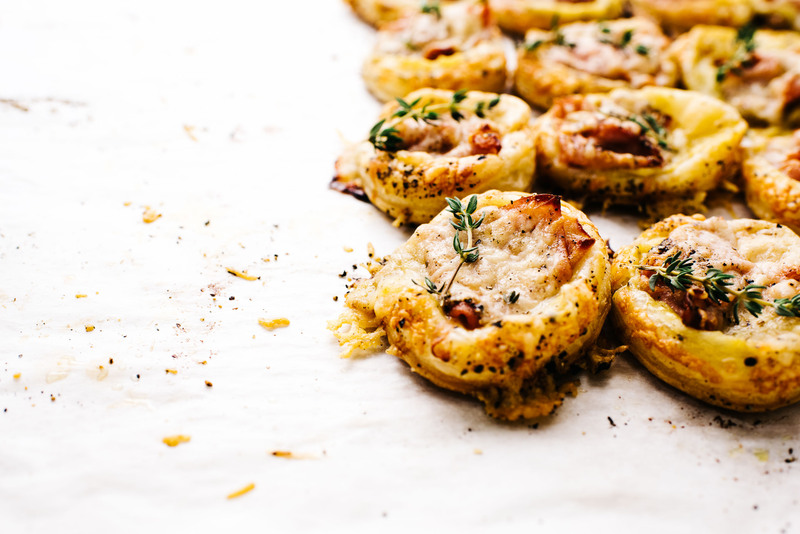 The mustard béchamel added just the right amount of je ne sais quoi to my little ham and cheese croque moniseur puff pastry tarts. C’est bon! 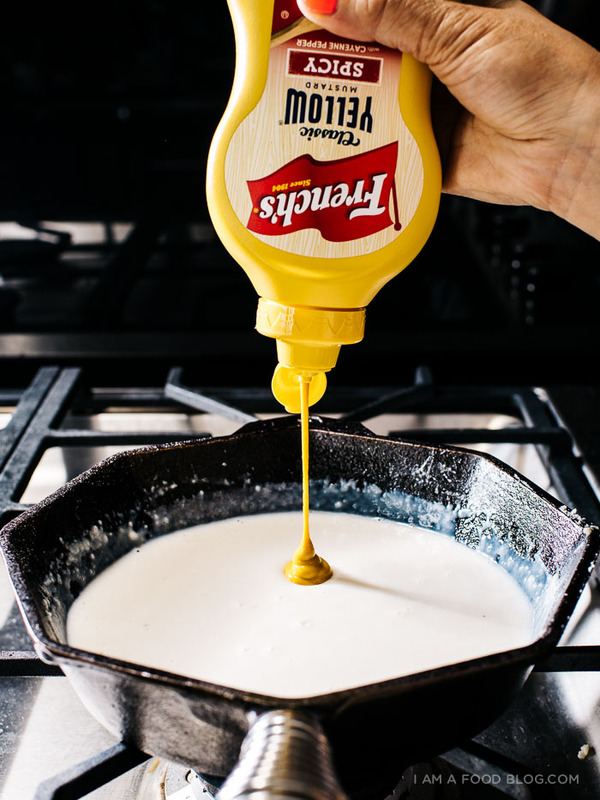 In a heavy-bottomed saucepan, melt the butter over medium heat. Add the flour and stir constantly for about three minutes, until completely smooth and incorporated. 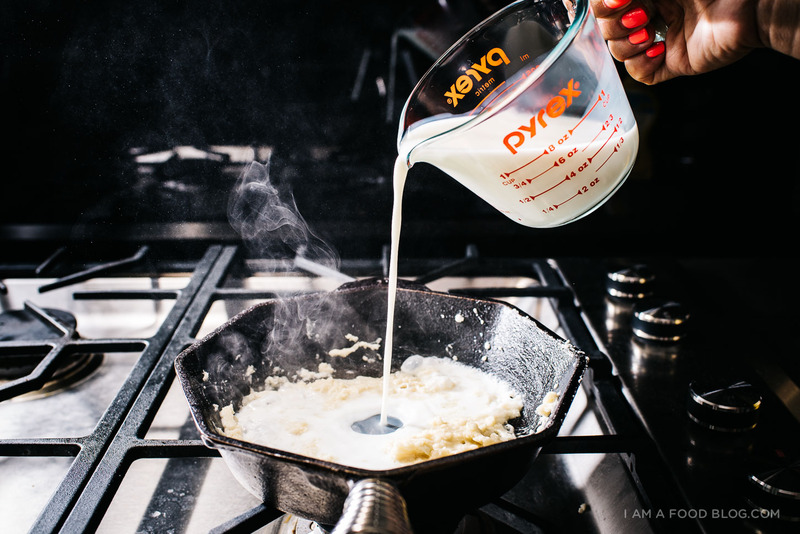 Pour in the milk in thin stream while whisking. Keep on medium heat, whisking, for about 5-10 minutes, until the sauce thickens. Remove from the heat and stir in the mustard, taste and season with salt and pepper. Use a round cookie cutter to cut out 2 inch rounds of puff pastry. Use a smaller cookie cutter to score a circle inside each round without cutting down all the way through. Gently poke the centre hole with a fork to dock. 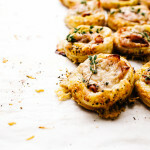 Top each round with a bit of mustard béchamel, a bit of ham, and shredded cheese. Top with a sprinkle of fresh pepper. Use a pastry brush to brush the rounds with the egg lightly beaten with a splash of water. Bake for 15 minutes, or until golden and puffy. Enjoy hot with extra mustard and fresh thyme sprigs, if desired. This post was brought to you by the makers of French’s Sweet Yellow Mustard and Spicy Yellow Mustard. I received compensation to write this post through the French’s Sweet and Spicy Influencer Program. All opinions are 100% my own. Thanks for supporting I am a Food Blog! omg. I just drooled on myself a little. These are seriously too good. I love a croque monsieur at the best of times but a minified version? You’re amazing. It’s funny, it sounds so posh but it’s true, a croque is basically an ham and cheese sandwich, with a twist. thanks for sharing this recipe, and your photography is beautiful! I GASPED when I saw these, Steph!!!!!!!! 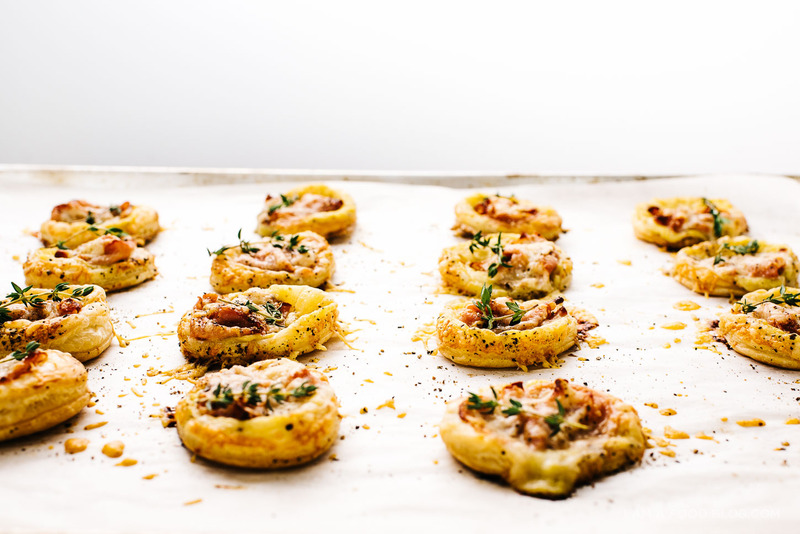 These are everything I’ve ever dreamed of in little hors d’oeuvres. 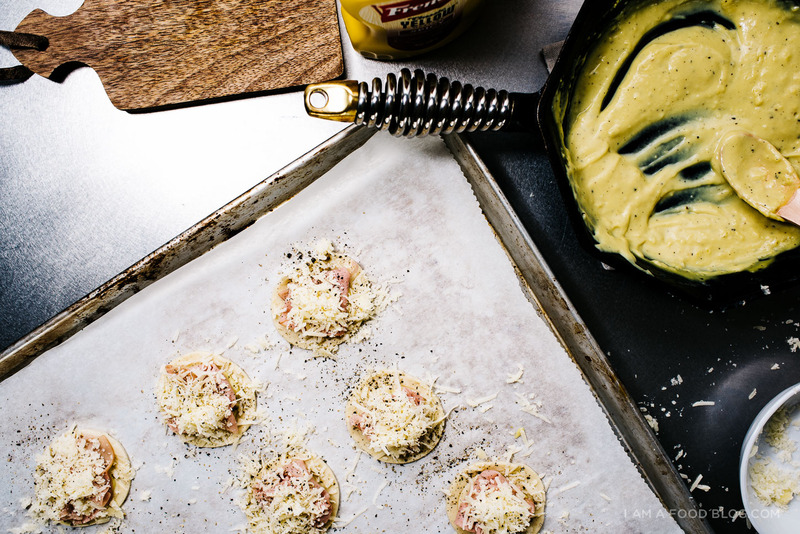 Mustard bechamel is sheer brilliance and you’re so right, I can just imagine how perfectly it goes with the ham and cheese. I want about fifty of these right now. So amazing as always, lady! Insanity! I want to try these! This looks absolutely delicious! Definitely going to try this when I can! My mouth is watering just looking at the pics! 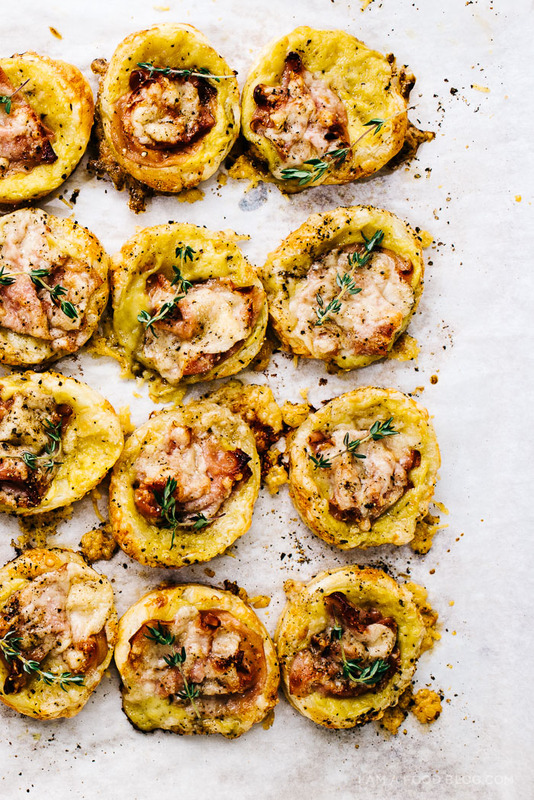 It’s like a more updated and sophisticated version of the classic Cuban sandwich but in appetizer form. Wonderful picnic food! I can’t WAIT to try this! This might be a regional language kind of issue, but I don’t know what you mean by this part. Can you clarify? Hi I was wondering if you had to roll out the puff pastry or just unfold and cut as is? i unfolded it and cut it as is, but the puff pastry i used was the pre-rolled sheet kind so it depends on which kind you buy. if you buy the sheets, you should be okay without rolling, although a little rolling never hurts. hope that helps!